Clyde W. Busick, 62, of Kingsport, went home to be with the Lord on Friday, May 4, 2018, at Wellmont Holston Valley Medical Center following a period of declining health. Born in Lynchburg, VA on May 7, 1955, a son of the late Jim and Mary Busick, he has resided in this area his entire life. Clyde was a former over-the-road truck driver. He retired from Holston Valley Medical Center in 2013 following 13 years of service. Clyde will be remembered as a loving and devoted husband, dad, papaw, brother, and friend who loved to mess with old lawn mowers. In addition to his parents, he was preceded in death by one granddaughter, Aileen Denis Busick; and one brother, Robert "Bob" Busick. 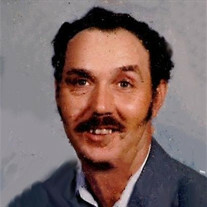 Clyde is survived by his wife of 42 years, Maddline "Matt" Busick; daughters, Lisa Whitaker and ex-husband David, Amanda Wexler and husband Johnny, and Wilma Massengill, all of Kingsport; sons, Rickey (Rick) Busick, Kingsport, TN; Terry Michael Busick and wife Becky, Kingsport, TN; Johnny Salyer and wife Jimmie, Kingsport, TN; Sam Massengill of Jonesborough, TN; twelve grandchildren; 13 great-grandchildren; two sisters, Patsy White and husband John of Gate City, VA, and Ruby Snodgrass and husband Robert of Hiltons, VA; two brothers, Ronnie Busick and wife Kathy of Kingsport, and Tommy Busick and wife Susan of Grand Junction, CO; several nieces and nephews; special friends, Bill Sluss, James Oaks, Sr., and his dog, Molly. The family will receive friends from 6 to 8 p.m. on Wednesday, May 9, 2018, at Hamlett-Dobson Funeral Home, Kingsport. The funeral service will be at 2 p.m. on Thursday, May 10, 2018, at Hamlett-Dobson Funeral Home, Kingsport with Brother Johnny Helton officiating. Burial will follow at Old Kingsport Presbyterian Church. Pallbearers will be Isaac Whitaker, Dakota Salyer, Tyler Whitaker, Andrew Salyer, Albert Busick, Alex Busick, and Hunter Byington. Honorary pallbearers will be Bill Sluss, James Ramey, and James Oaks, Sr., James Oaks, Jr., Robert Matheny and Johnny Hilton. The family would like to extend a special thank you to D500, Second Floor Cardiac Care Unit.